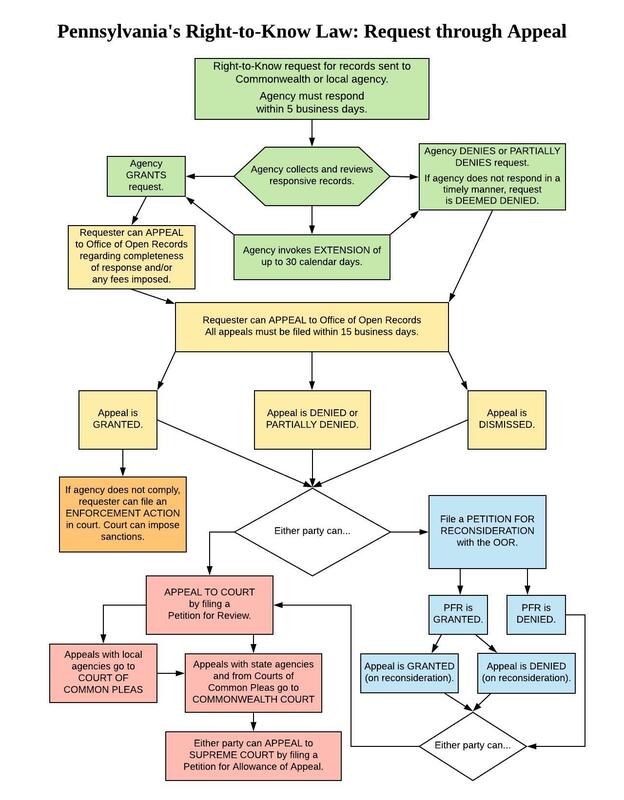 A new version of a flowchart designed by the Office of Open Records to help explain Pennsylvania’s Right-to-Know Law process is now available. In October, we posted a draft update and asked for suggestions on how to improve it. We appreciate everyone who shared their ideas. 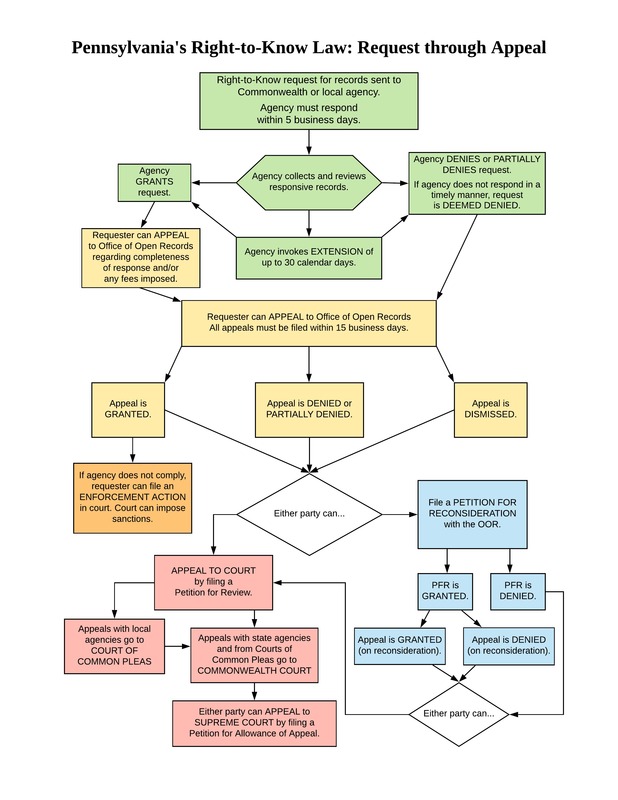 Many years ago, the Office of Open Records created a flowchart to help explain Pennsylvania’s Right-to-Know Law process to both agencies and requesters. In response to some suggestions to make the flowchart even more useful, we’re updating it. And we’d love to have your input. If you have any thoughts you’d like to share, please do! Leave a comment on this blog post, or use the OOR’s comment form.